It is important if you are caring for an elderly loved one that you make time for creative activities. Staying creative as we age can have many benefits for both our minds and our senses. Creative activities can also encourage social engagement, something that often starts to lack as we age. Simply doing something, no matter what the activity you choose, can be extremely beneficial to the quality of life of the one you care for. Seniors often are dealing with difficult obstacles in life such as loneliness or medical issues. So, for some, it is especially beneficial to plan these activities out. This can give him or her something to look forward to. Just as these activities don’t have to be complicated, they also don’t have to be expensive. You can use supplies that you already have. Do you have markers, crayons, colored pencils, watercolor paints? If you don’t, these supplies can also be purchased inexpensively at the dollar store. 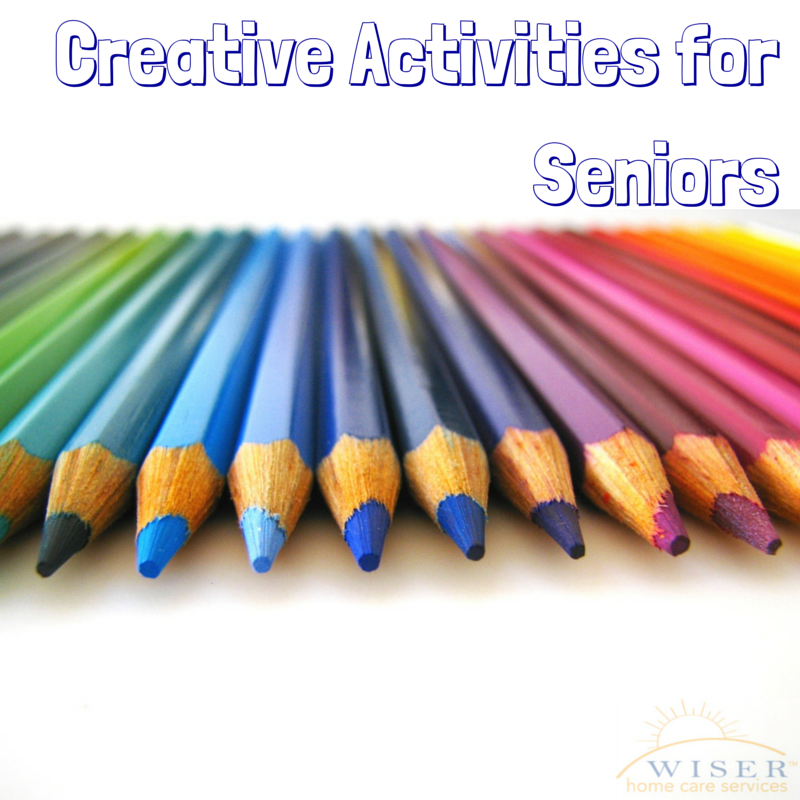 Here are a few examples of fun, creative activities to do with your elderly loved one. Painting objects – Flowers are a good place to start when painting objects. You can either look for pictures of spring flowers or bring in real flowers if you have them. Painting with music- Put on some relaxing music and paint to the music. Choose music that your loved one likes and paint whatever the music makes you feel. Creative writing- Choose a topic or let them choose. Writing about life experiences, accomplishments, family, and friends can be especially helpful to improve a client or loved one’s mood. Card Making- Make in advance for special occasions like birthdays. Whatever you decide, find a way to engage your loved one and stimulate their creativity. Use your imagination and help them use theirs. You can join them too. You may find a creative side you didn’t know you were missing!